So you live in a country where unfortunately Apple Pay isn’t supported as yet? Or you live in a country where Apple Pay is supported but your bank isn’t on board for Apple Pay contactless payments yet? If you fall in any of these two categories, we have a solution for you to start using Apple Pay anywhere in the world right now. Originally launched in U.S. back in 2014, Apple Pay as of today is available in the U.S., UK, Canada, Australia, Singapore and China on iPhone 6, 6 Plus, 6s, 6s Plus, SE and Apple Watch devices, with Apple continuously adding support for more countries and banks as the time progresses. 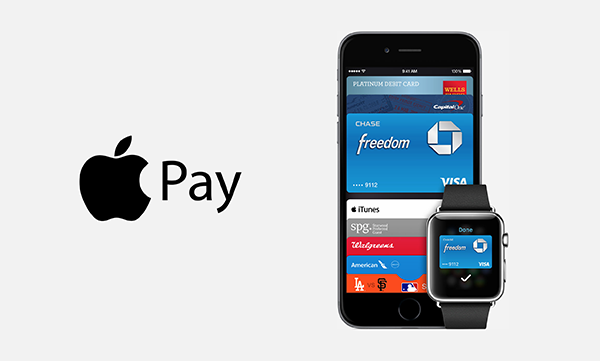 Until it comes to your country or bank, you can use the method outlined here to start using Apple Pay right away. Now this method is not perfect by any means, and has all sorts of limitations (more on that later), but if you want to get a taste of the future of payments right now, this is your only chance. 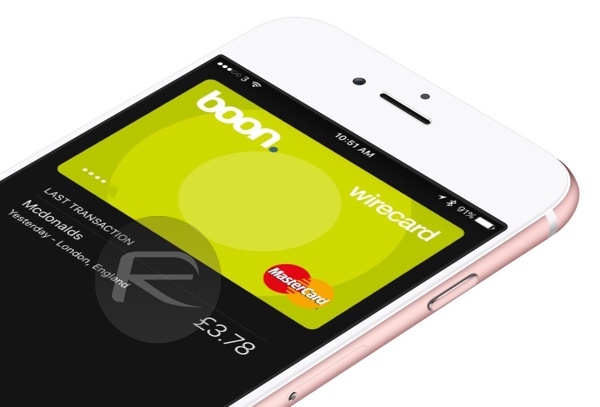 This method basically makes use of a third-party virtual debit MasterCard by Boon in the UK, which you can register in your name, add it to the Wallet app, and then top-up the credit in it using a real debit or credit card that you may have of any bank in the world. Here’s how to go about this. Step 1: You need to first register for a UK App Store Apple ID, instructions for which can be found here: How To Create US, UK Or Any App Store / iTunes Account Anywhere In The World. Step 2: Next, open the App Store on your iPhone and download the Boon app. It’s available for free in the UK App Store. Step 3: Launch the Boon app, now using your real phone number (doesn’t matter which country you are in), register for a Boon account by simply following the on-screen instructions. Step 4: Once everything is verified, you will get a Boon START account with free £5 credit in your account which you can use to pay for anything. Step 5: To top-up more credit, you will first need to upgrade to Boon BASIC or PLUS account, and then add a real debit or credit card to your Boon account. Now this debit or credit card can be of any bank or country, and it doesn’t have to be supported by Apple Pay. You will simply be using it to top-up credit in your virtual debit Boon wirecard, which will then be used for payments using Apple Pay. 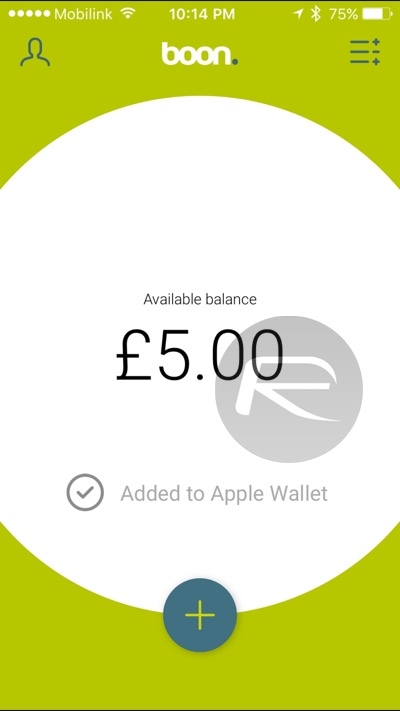 Step 6: Last but not least, simply add this card to Wallet app on your iPhone and Apple Watch (if you have one). To do this, tap on “+” button for Add to Apple Wallet and wait for it to process and verify the Boon wirecard with Apple for Apple Pay use. Once validated and activated for iPhone, you can repeat the process to add it to Apple Watch as well. Make sure you have a passcode set for Apple Watch. 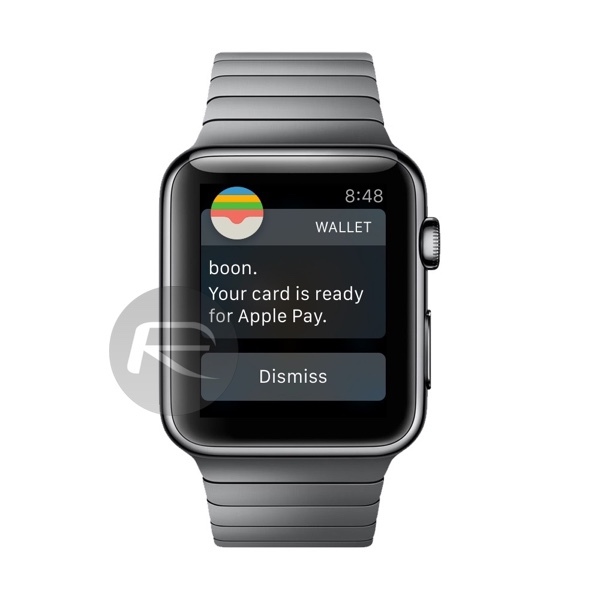 This is a requirement for using Apple Pay with Watch for security and authentication purposes. You can use this Boon wirecard for Apple Pay on any contactless payment reader which supports MasterCard. On iPhone. When the screen is off, double-clicking the Home button will bring the Wallet on Lock screen with your default card set for Apple Pay, simply hold it near a supported contactless payment terminal/reader with your finger on Touch ID for authentication, and the payment should go through in a second. You will hear a light sound from your iPhone along with a light vibration with a tick on screen, confirming the payment is done. Similarly, on Apple Watch, double-clicking the side button will bring up your default card on screen, simply hold it near a contactless reader to make the payment. No Touch ID or passcode authentication will be required at the time of payment from Apple Watch because your Watch is already authenticated for payments when you wear and unlock it. 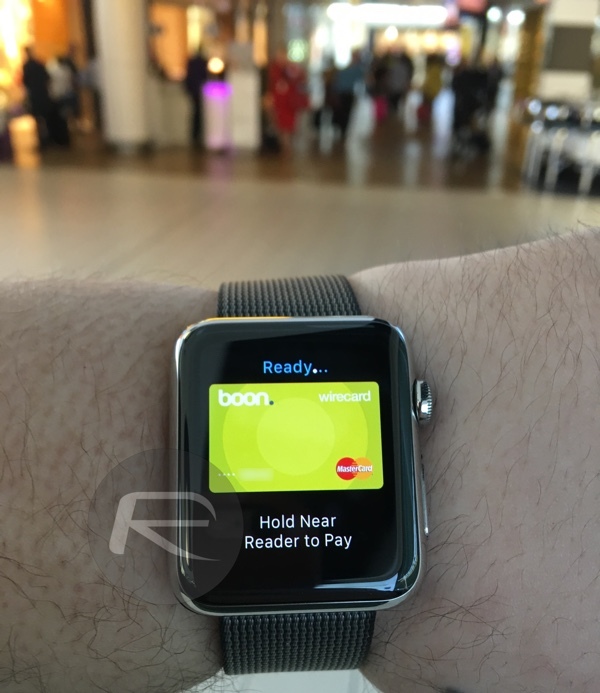 As I mentioned earlier, there are some limitations to using Boon for Apple Pay. For one, every top-up using debit or credit card will cost you around £1. Second, since this Boon wirecard is issued in UK, you will be charged a small fee for every Apple Pay transaction that happens outside UK. And last, there is a limit to how much credit you can top-up in Boon, even if upgraded to Boon BASIC or PLUS accounts. You can find more on it here: boonpayment.com/uk/fees-web.html. While these limitations maybe a deal breaker for some, it is still worth trying out, especially if you haven’t ever used Apple Pay and want to see for yourself how it looks like paying at a retail store just using your iPhone or Watch. If nothing, you can use it for that one payment (coffee or soda or fries at McDonalds?) using £5 free credit that you initially get when signing up for Boon. 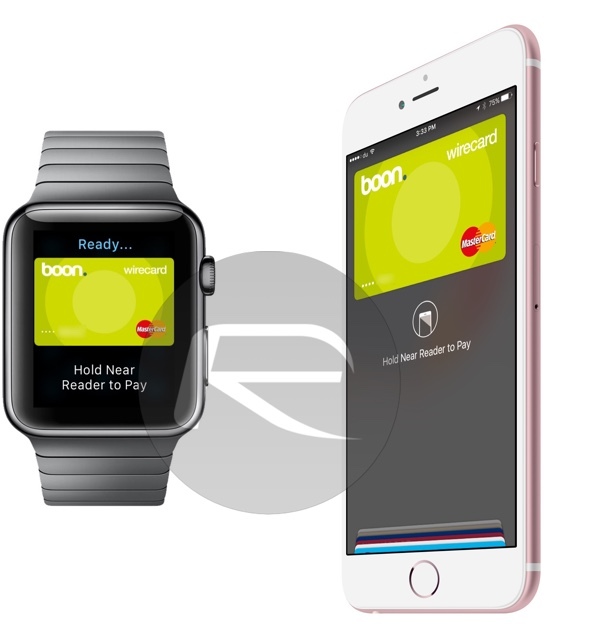 Personally, I tried Apple Pay at a number of retailers in both London and Dubai using Boon wirecard and needless to say it worked flawlessly every time. It was especially useful for paying in bus and for Underground Tube travel in London. A simple tap of my Apple Watch at contactless readers in a bus or at a station’s barriers is all it took for me to start my journey. Didn’t have to take my wallet out once! If you do try this and get it to work, let us know the country or city where you used it in the comments section below. Made it…switched both devices to Uk and finally boon was added to my watch. Thank you and Filip Hovorka. Hola! Logré usarla una vez en Chile. Haz podido recargarla? hi.. natry nyo na po bang gamitn ang apple pay dito sa Ph like malls? or restaurants? thanks! I tried in Continente and it didn’t work.. Where have you been successful in using it in Portugal? Why didn’t work for u? All was fine reading from my iPhone, but afterwards I got “transaction declined”. This happened at 3 different POS and using a physical card with contactless was OK.
1-Login at boon app and check if it’s everything ok. I will try. Thanks. But all seems fine as far as 1. is concerned, and I have some balance. Is 2. really needed after adding the card? It seems to work after re-setting to Portugal. And you want to then give them the real bank details ? I mean, the charges are stupid and what’s the appeal. If a bank cant do basic mathematics, then I want it to benefit me, not them ! Unfortunately top up doesn’t work anymore… You can now only top up with a UK issued credit card 🙁 does someone know an alternative method to use apple pay in a unsupported country? Or if there’s a debit card like neteller that works on Apple pay? It works great in Mexico too. Luckily, I have at least one US card so no need to use boon for me. Is there anyone who’s still using it here in the Philippines by 2017? Pls… tell me how am I going to top up the card? Was able to use it at BonChon in BGC and SBC in Megamall but you need to let them know about it that its a contactless payment or else they will ask for a card which obviously we do not have. It used to work with any 3D secured credit or debit card but recently they limit it to cards within Europe. Not sure if its still working now since I no longer have MetroBank and RCBC credit card that supports 3D Secure. Yeah, I heard it was because UK is leaving the EU (Brexit). Switch to the french Boon app, France still accepts any card. 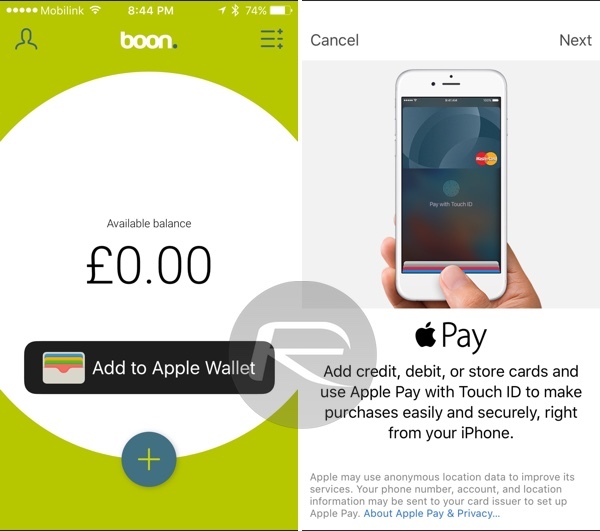 UPDATE: this method no longer works using Boon for UK because it requires a. UK credit card. You now need to use Boon for France instead. Switch to the french Boon. I heard that one still accepts any credit card. It’s in settings>wallet&apple pay. However, you can’t see the full “card” number aka device account number, it only displays the last four digits. And the CVC is dynamic (changes every time) so it’s never displayed. Tried the french version of Boon. in the Netherlands but the transaction was declined at multiple shops which supported MasterCard®. Anyone with the same problem? When I tap on the sign up button in boon. It says: invalid region. boon. is not available in your country. I can’t even use it because when I tried to sign up it said invalid region. I tried changing the region on my iPhone and even used VPN but to no avail. Any solutions? Just set up in Poland, didn’t work in first store(transaction refused), worked in another store 5 mins later. Did you get verified and get your account to be boon plus? Hey there. Hello from South Korea. It was not possible to add every credit / debit cards which i got from Korean banks. Maybe upgrading to Plus plan first can be an answer, but I can’t proceed cause it requires BUNCH OF unnecessary information like my Passport and Billing address papers. Any solutions? I’m trying with France boon. Alright. So, this post might need some update. I have personally tried boon. for almost a week now and it’s really cool. I’m from Malaysia and we have tons of contactless terminals so I figured I’d give boon. a try since none of the banks in Malaysia actually supports ApplePay yet. Anyway… Initially, I got a boon. UK account opened but I found out that I wasn’t able to top up using a credit card or debit card that’s outside of UK or boon. supported regions (Spain, Ireland, Germany and etc.) even when all my cards have 3D-Secure enabled. Faster Payments do not work if you don’t have a UK bank account. Then, I opened another boon. account in Spain. And, I got it upgraded to a boon. Plus account because you cannot perform overseas transactions with a boon. Basic account. I was told by the customer service that I’m only able to keep one boon. account active. So, I closed down my UK account instead. To perform top up, I use WorldRemit to transfer money over to boon. since wire transfer from your local bank would costs a lot and it takes quite a long period of time. My experience thus far, it only takes 1 working day to have my fund transferred over to my boon. account. You could use Skrill or TransferWise to transfer money over but I have never used those other two services personally. If you receive “Unsupported Region” or error message similar to that, go to your iPhone Settings > select “General” > select “Language & Region” > under the “Region” Settings, select Ireland, Spain or whatsoever region you want to open your boon. account in. VPN DOES NOT work! After you finish the sign up process and added the boon. card to your Apple Wallet, then you can proceed to revert the Region settings as you deemed fit. So far, boon. Spain do not have a lot of restrictions. Something to note! If you are to wire transfer your fund over to boon. account, remember to select that you’re transferring money to Germany even if you have a boon. account in Spain or any other countries. If you’re going to use your boon. card for online shopping or Uber, remember to choose the Card Issuing Country as Germany. Try Boon Ireland. They seem to have less requirements. For Boon plus it’s usually required to live in the country where you are trying to use the service, so you’d need documents from Spain to upgrade a Spain account to Boon Plus. I suggest you cancel your Boon Spain account and try to use Boon Italy or Boon Ireland. Those countries don’t require the upgrade to Plus level to use the virtual card outside their domestic territories, plus they offer the option to top up by bank transfer, which although it takes longer, it may be your only option if they don’t accept your credit or debit card for top ups. He may not have had to upgrade to plus if he chose tu use an Irish or Italian Boon account. Not all countries where Boon exists require the upgrade to plus for using the Boon card outside their territories. Only France and Spain do so. France requires Boon Plus to use the card outside their territory, and so does Spain. Try using the Irish or the Italian versions. They don’t have that requirement.